It’s raining in Dallas today. Last week it was in the 70s. Is Spring here already? Isn’t it still February? Of course, there will be another round of cold days in March, but rain and warm weather are mostly in the future. And so are my Wellies. 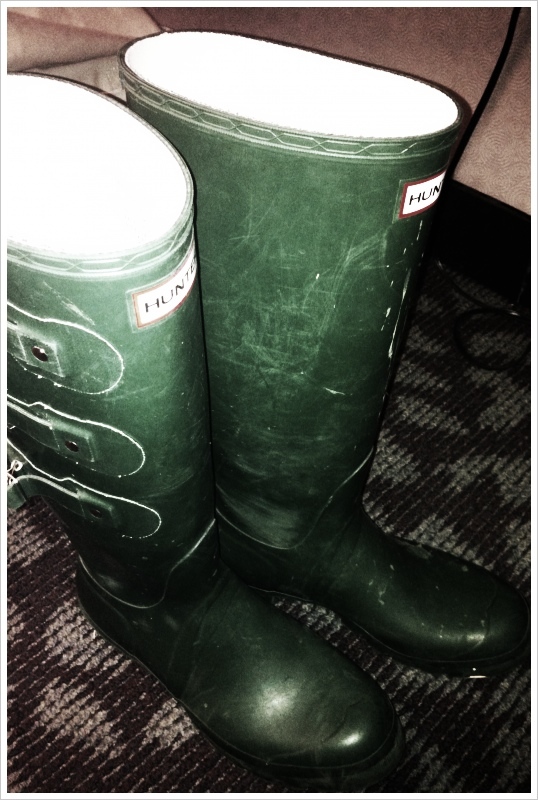 My slightly scoffed, well-worn, green wellies. AKA – rain boots. 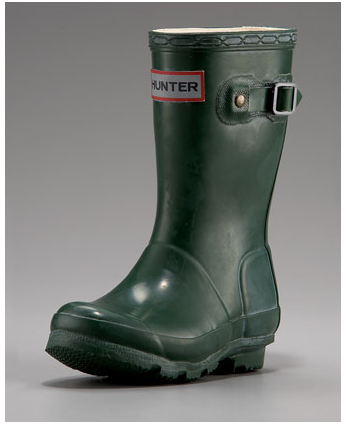 History Lesson – the British call these Wellies because they were worn by The Duke of Wellington. And well, rain boots have no ring, but Wellies why, that is positively aristocratic. Please don’t judge me because of the carpet, I took this pic at work. I got these Wellies several years ago before it was cool to wear rain boots. I’m pretty sure only Fireman or Gardeners wore rubber boots like these at the time. Yes, I am that person that likes to pat herself on the back for liking things before they hit the main stream. I know. It’s annoying. I know it’s annoying. I try not to admit my annoying habits too much, but I like to think my annoying habits keep me grounded. Somehow when I admit I’m annoying, I realize it’s ok we can all be a little annoying at times. Also, it reminds me to have more patience with people that I might sometimes, on occasion find slightly annoying. Like the person in front of me driving 25 in a 40 mph zone. 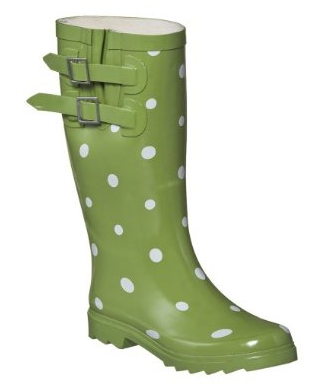 These boots are great for rainy days or if you working in the yard. WARNING – as you can tell, the boots are made entirely of rubber. They will make your feet sweat if worn for any length of time. Please do everyone a favor and wear socks. Seriously. You will have to replace your boots or cut off your feet. No one wants to do either. These boots are available from the original Hunter manufacturer or at Nordstroms, Neiman Marcus and you can also get sock inserts if you’re too lazy to put on socks. Trust me you want to wear socks or inserts with these boots. Prices are in the 100+ range. If that’s a bit steep for a pair of boots (because truth is, that is kind of steep if you’re on a budget) and you can only envision wearing these twice a year or you live in the middle of the desert, you might want to consider a pair from Target. Equally as cute. And much better price. If I didn’t own a pair and it wasn’t excess to own two pair, I might just swing by Target and get these. Oh and best of all (because everything in miniature size is just cute), the Hunter brand boots are also available in kid’s sizes. I’m not one for Mother/Daughter matching outfits. Really, I’m not. But matching rain boots? I can get behind that. This entry was posted in My Favorite Things, Uncategorized. Bookmark the permalink.